As many as 30% of adults complain of insomnia; having trouble falling asleep, staying asleep or not feeling refreshed in the morning despite having had a full night’s sleep. There are many reasons for insomnia, some very complex, as a result of medical or health problems, or stress. It can last for short periods of time or be ongoing and require professional treatment. Although not a cure for the more serious condition, our interior decorating advice on how to create a bedroom as lovely as a lullaby is a good start. 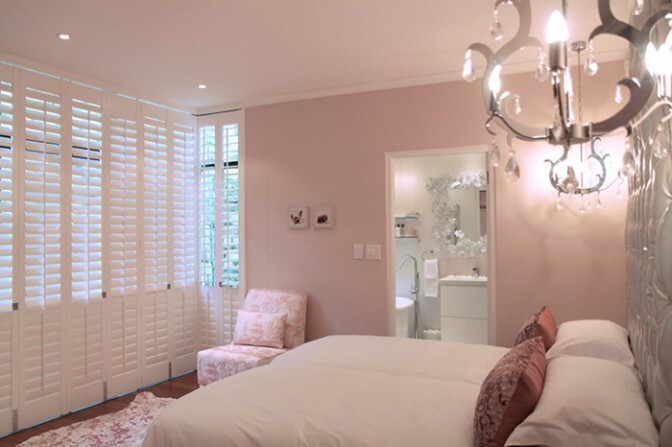 Install shutters on all windows to have complete control over the lighting of the space. 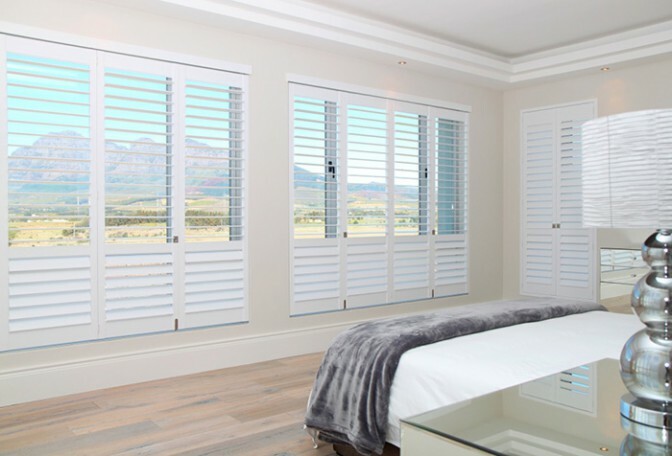 By simply closing the louvres, shutters allow for complete block out of natural and artificial outdoor light, and just as easily they can be opened to let in all the sunlight or moonlight you desire. Choose colours that have a calming affect; soft blues and greens, and pastels make for a tranquil peaceful space. Avoid busy patterns and artwork. Look for inspiration from calm tranquil nature settings. Keep your bedroom clutter-free, remove all unnecessary furniture and accessories.Indulge in top quality mattress, linen and soft finishes such as pillows and comforters without going overboard and cluttering up the room. Insulate your home with ceiling insulation to regulate the indoor temperature in all seasons. Dress your bed with breathable cotton sheets instead of satin, silk or polyester. Create cross ventilation from windows to doors or fans. Turn off the lights; don’t have lamps burning to all hours as this gives off unwelcome heat. For the same reason, unplug all electronics in the room. Install shutters for complete ventilation control. 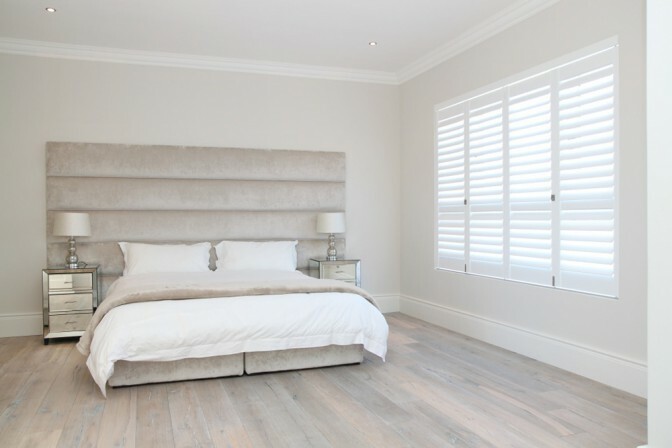 Shutters are fitted securely to the window or door opening and do not rattle, bang or billow in the breeze like blinds and curtains. Keep the bedroom quiet and peaceful; consider removing all technology from the bedroom, no TV, and no computers, only calming sounds like soft music, flowing water etc. Make your bedroom an escape from the busy people-filled spaces of your home; a place where you can unwind, relax, sleep and dream in peace.